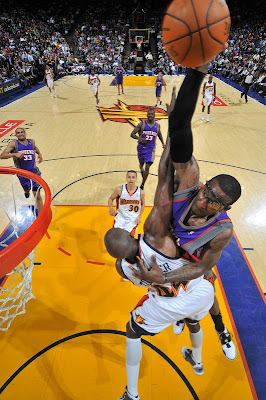 In yo' face Anthony Tolliver! Via NBA. Okay, that was gruesome! That made Starbury cry half a world away! did anyone bother to check on tolliver? is he ok? who is paying for his hospital bill? 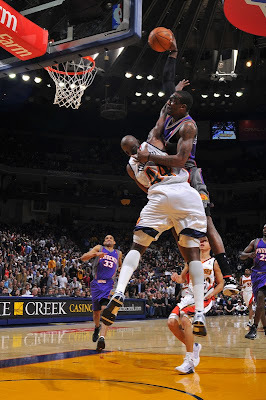 "When J-Rich tossed me the ball, my first thought was 'I hope he jumps,' " Stoudemire said. 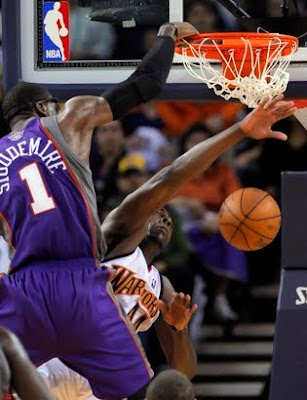 They need to have a moment of silence for how bad tolliver got dunked on, the next time the Warriors have a home game.